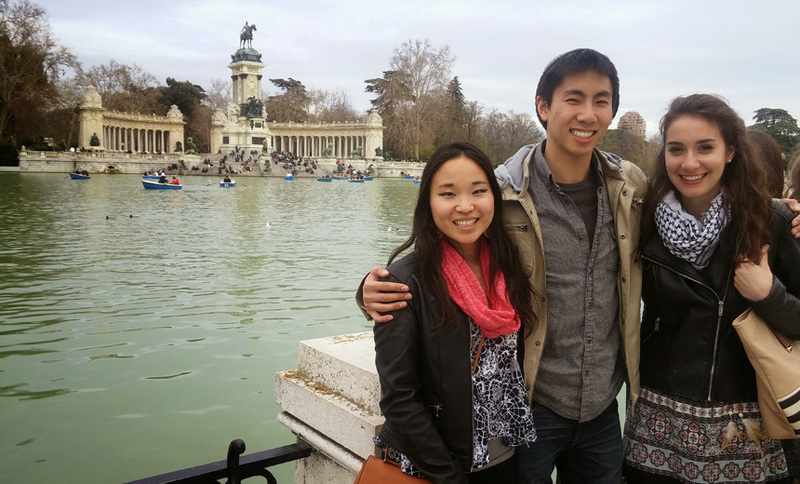 Grace Caza, at right, with Chieri Ono and Kevin Au, fellow University of Rochester students who also studied abroad last spring, at El Parque de Retiro in Madrid. 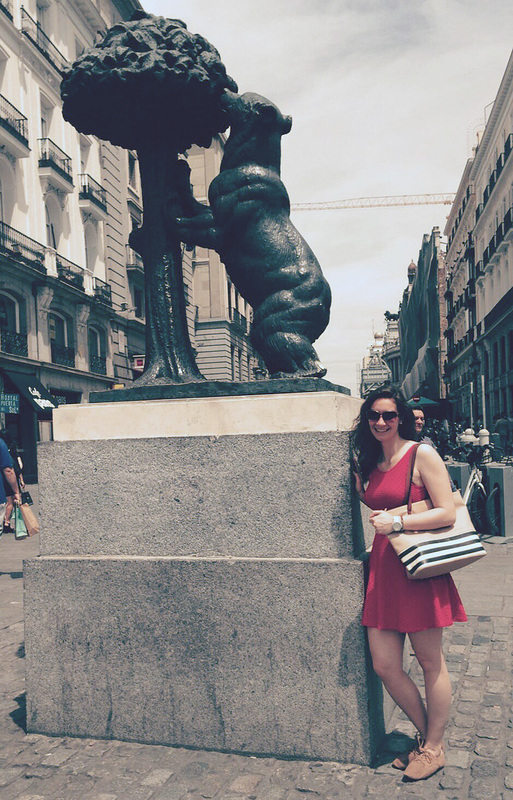 Grace Caza ’17 was skeptical when she heard how study abroad can change a person’s life. Caza says she benefited in three important ways. She is now a more flexible and professional engineering student. “Studying abroad has encouraged me to concentrate more on my studies and not to limit my academic goals to one industry, discipline or even continent,“ she says. She has a much better understanding of the Spanish language. That was a key reason to study in Madrid in the first place, to build on the Spanish Caza had learned while working in the Dominican Republic with the University of Rochester Engineers Without Borders chapter and in her Spanish courses here. In addition to taking a Spanish language course, she participated in an IES Intercambios Program that pairs native English and native Spanish speakers with one another in order to practice speaking and listening in casual conversations. “My intercambios, Alicia, and I quickly became friends and met almost once a week for coffee throughout the entire semester. She helped me improve my Spanish, and I helped her with English. We still talk via Skype and I look forward to continuing my friendship with her as we help each other practice language skills.” Caza further practiced her Spanish by attending masses at cathedrals in each Spanish city she visited. She gained more confidence traveling and communicating in culturally diverse environments. Unlike many of her study abroad colleagues, who traveled to other European countries, Caza concentrated on Spain, visiting over 13 different cities including Sevilla, Cordoba, Granada and the La Mancha region, where she and friends enjoyed bird watching, a visit to a local a winery, cheese maker and the famous windmills along the trail that Cervantes described in his tale of Don Quixote. a place well until you stop living out of your suitcase and take the time to interact with and make friends with locals,” Caza said. The hardest part of her study abroad experience was arranging course approvals ahead of time, she says. For example, an academic adviser with the IES study abroad program persuaded her to change the course load she had prepared in Rochester because of its intensity and difficulty for other IES students. As a result she was able to take only two classes to satisfy her MechE requirements. However, she received cluster approval for the Spanish class she took, and is hoping another class she took will allow her to add a minor in Spanish. Her advice to students who are thinking of studying abroad: talk to engineering students who have studied abroad and plan courses well in advance, with a back-up course load in mind. Below, Grace Caza in front of the El Oso y El Madroño (The Bear and the Strawberry Tree) statue in Madrid.